This page provides links to basic information about VLBI, its history, geodetic VLBI, and other topics related to IVS. 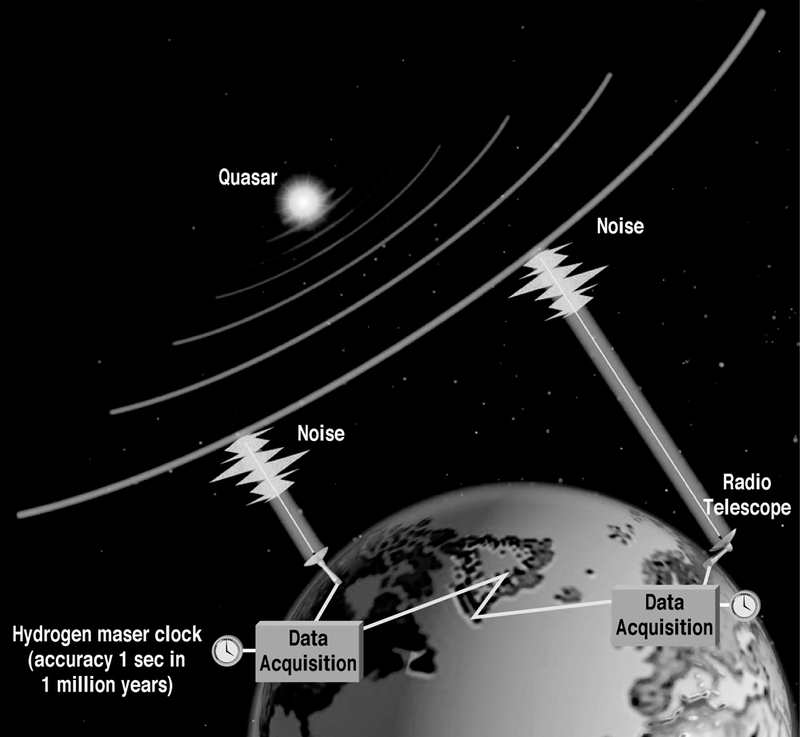 VLBI is a geometric technique: it measures the time difference between the arrival at two Earth-based antennas of a radio wavefront emitted by a distant quasar. In the VLBI concept of the near future broad-spectrum is recorded at radio telescopes and transmitteed via high speed data links to a correlator. If you know about or would like to contribute a link to this page please contact the Coordinating Center.